The Lalit Chandigarh proudly presents to you, Kitty Ko - The Forest View Lounge. 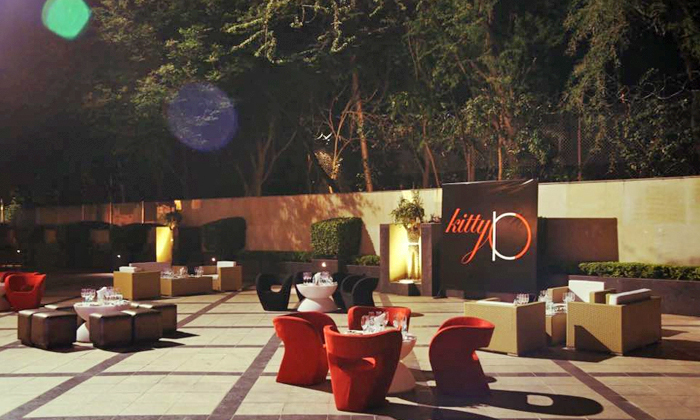 An amalgamation of the fun vibe of it's hip-n-happening club Kitty Su and the luxuries of it's fine dining restaurant OKO, Kitty Ko by The Lalit Chandigarh is a lavish, spacious and gorgeous al-fresco lounge with mesmerizing views of the forests. The bar here is managed by Kitty Su that brings for you, a range of heady and delicious spirits, brews and mixes. As you enjoy your drinks, take all your time to go over the exhaustive menu powered by OKO and make a pick that matches your mood. Not your typical lounge, Kitty Ko is a place to unwind and relax whilst enjoying the best of all worlds - food, drinks, ambience, music and of course, hospitality. Live gigs, food festivals, cultural events and performances are further going to add to your delight here at Kitty Ko.